Roll of blotting paper in case is nearly full. NIB paper refill included Fenty Beauty Invisimatte Blotting Paper And NIB REFILL. Shipped with USPS First Class Package. Replenishing oils such as evening primrose oil. Future Solution LX. macadamia nut oil, this luxurious oil can. safflower oil, argan oil, jojoba oil and. For Face & Body. into the skin to provide maximum. LiftDynamic Cream. TruStructiv Technology. Smooth evenly over the face each morning and evening after cleansing, softening, strengthening and correcting with Bio-Performance LiftDynamic Serum. cream energizes skin's natural restorative. Riduce le imperfezioni. RESO PRODOTTO. A powder-coated blotting paper that absorbs oil to freshen the skin and eliminate shine. These blotting papers have a powerful oil-absorbing ingredient that freshens skin and eliminates shine. -When concerned about shine, press powder coated side against skin. 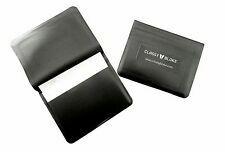 Remove excess oil from the face with these white blotting papers that are presented inside a black travel pouch. Mary Kay Beauty Blotters - 75 Tissues. For uneveness, redness. Glow Revival Serum. serum that focuses on the role of the. Glow beyond perfection. your skin's glow with this multi-benefit. The appearance of redness and wrinkles are visibly improved. Sonia Kashuk. 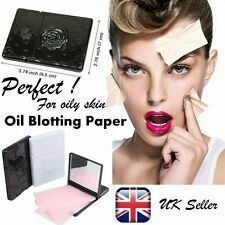 BLOTTERS MATT OIL BLOTTING PAPER. 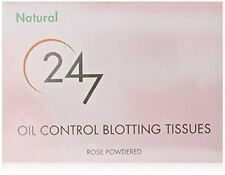 Beauty Blotters Oil-Absorbing 75 Tissues. 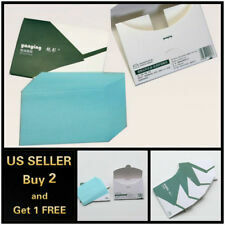 Lilly Pulitzer oil blotting paper holder new in pkg. Mary Kay Beauty Blotters oil-absorbing tissues (set of 2) New And Sealed. Condition is New. Shipped with USPS First Class Package. From a smoke free, pet free clean home. Mark Cheat Sheet Shine-Blotters. Soak up surface oils without disturbing your makeup. 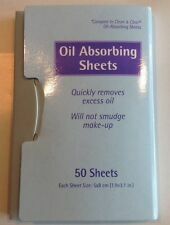 US seller Shiseido Japan Sweat & Oil Blotting Film 70-Sheets per package. These are the plastic type material sheets that absorb much more than paper sheets! Brand new in packaging. Shipped with USPS First Class Package. I ship by next business day after payment received! Arricchito con idrolato di rosa bio, polifenoli di vinaccioli d'uva e oli essenziali bio , questo fluido al tempo stesso idratante e opacizzante assorbe l'eccesso di sebo, aiuta a ridurre le imperfezioni e affina la grana della pelle. And dose this with virtually no disruption of makeup. You can see the oil you remove on the patch so you know it is doing the job. To dispense a patch, press the lid into the patch and gently lift the lid. OIL ABSORBING SHEETS. Lot (4) CLEAN & CLEAR PORTABLE. Powder free, fragrance free, handmade and natural. Model: Blotting Paper. They only apply to the lower 48 United States. We do not provide technical support or repair service before or after the sale. OPACIZZA & PURIFICA. IDRATANTE VISO. CREMA IDRATANTE OPACIZZANTE. LINEA UOMO. Per maggiori informazioni o richieste particolari non esitare a contattarci. NYX Matte Blotting Paper 50 Sheets in Each. *LOT OF 7* Free Shipping! Pulp paper absorbs excess oil, leaving you looking fresh faced. The Magic Mattifying Balm & Blotting Sheet Duo features one side with a mattifying, lightweight balm that glides onto skin to erase shine and pores, priming, and setting makeup for extended wear. It’s velvety soft, transparent, and undetectable, and it’s ideal for all skin types. CLEAN & CLEAR Oil Absorbing Sheets instantly soak up excess oil and remove shine from your face, without smudging makeup or leaving behind powder. Softer than paper, these silky sheets can be used easily around your nose and other areas of your face. RESO PRODOTTO I pori sono ristretti: 83% . Beauty Mask Works Black Charcoal Blotting Linens are infused with black bamboo charcoal to purify pores and remove excess oil from skin. Paraben, sulfate and phthalatefree. 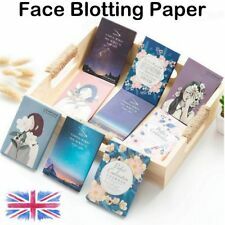 Model: Blotting Paper. 300 Sheets total. They only apply to the lower 48 United States. We do not provide technical support or repair service before or after the sale. Model: 15223. #1 Natural Bamboo Charcoal Oil Absorbing Tissues Makeup Blotting Paper 100 Sheet. Condition is New. Shipped with USPS First Class Package. Palladio Rice Paper Blotting Oil Absorbing Tissues 3-Pack, Natural - New&Boxed! 100% Authentic. Palladio does not test its products or any of its ingredients on animals. Made from natural rice. Compact enough to fit in small purses and pockets. 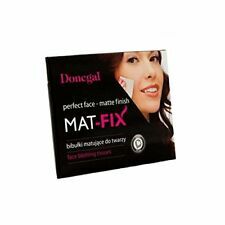 Provides a matte finish after blotting. Bitex Instant Face Lift Serum Lotion REDUCE WRINKLES INSTANTLY BRAND NEW!